I thought sharing some of my favourite rock songs would be a neat idea, up until I started drafting this post…it is so daunting! I know that each rock fan’s list would look very different, but you never know you might find something here that tickles your fancy. That is the biggest payoff for me as a blogger, sharing great music with people who would never have heard it any other way. When I was younger I wasn’t into rock music that much, but even I couldn’t deny the power that this song had. The build up to the chorus that hits you like a wave is undeniable. It is a song that defines a generation and what ultimately got me listening to the Godsmack. This song has a way of creeping under your skin and making you listen. Aaron’s voice is mesmerizing, it grabs your attention and piques your curiosity. The song has an unassuming quality to it which is why I think it took the rock world by storm at the time. “My Own Prison” lyrically paints a picture and is incredibly introspective which is quite rare. I hold this song in high regard even though I discovered it when Creed had already disbanded. It has a slow progression, but I find it captivating with enough aggression added in the right places. “Remedy” can be described as gritty, entertaining and features the most head bang-inducing chorus ever! All of us knew a Seether song would feature on this list at some point and I had a lot of trouble deciding which one. If an up and coming rock band were looking for a rock song formula or inspiration, they can’t go wrong with this one. I discovered the band when I watched this music video for the first time. They released one of the most impressive debut albums I have ever heard. I need them to release new music as soon as possible! This song has a powerful rhythm, but is still quite heavy in certain sections and I find their style very refreshing. This song is very dark lyrically and the collaboration for this song is just too powerful to ignore. It addresses an important matter in our society and its a great way of getting the message across. The cellos, drums and Corey’s voice is an incredible combination. The soft, acoustic intro on this song doesn’t give anything away, until Brent catapults his voice into the chorus with aggressive restraint which ends in reckless abandon. A fantastically crafted rock song that helped the band achieve the success that they have experienced up until this point. I was fascinated by this song when I heard it for the first time. The lyrics, the melody and David’s voice layered on top of that is a winning formula. The song haunted me for weeks after that. I know that it is not their most famous or memorable song, but it struck a chord with me. Yes, you read that right I added a Nickelback song to the list, because they served as my gateway to rock music. Judge if you must, but this song has so much going for it you can’t deny its brilliance. A slow, steady intro that builds into a crescendo of guitars and Chad’s gritty voice creates a perfect combination for some good old grunge music. Tyler just captures your attention from the minute he opens his mouth. I think this band has been compared to so many others in their genre, but I feel with this song they have been able to make their mark. It was actually featured on the first Spiderman’s soundtrack. This song is from the band’s debut album, which says it all. The more I learn about music, the more I realise how powerful nostalgia can be. At first I planned to do this type of post as a once-off, but now I realise how many songs have had an influence on me when I was younger. Feel free to comment with some suggestions! 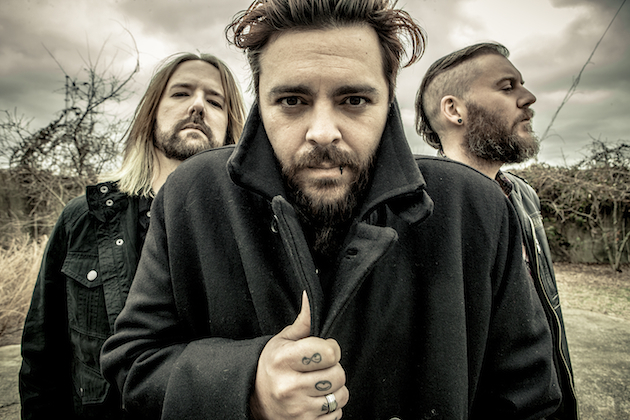 Seether is a post grunge/alternative metal band hailing from my country of birth, South Africa. They were founded in 1999 in Pretoria. Seether consists of Shaun Morgan (lead guitar, vocals), Dale Stewart (bass guitarist) and John Humphrey (drums). The band got the chance to be a part of Ozzfest and released an EP before unveiling their full-length debut album (“Disclaimer”) in August of 2002. “Disclaimer” featured the single “Fine Again”. A great deal of pre-production took place in South Africa under the supervision of a Wind-Up representative, it continued in New York before the recording sessions took place in Los Angeles. The band began extensive touring in promotion of Disclaimer in July 2002. They performed alongside the likes of Our Lady Peace into the following year.Initially the band emerged with the name Saron Gas (a name taken from the back of a sound effects CD) and they released their debut album called “Fragile” on Musketeer Records. South Africa’s musical tastes are centered around pop, dance and mainstream music. Despite this fact Fragile found impressive chart success, making US-based record label Wind-Up Records sit up and take notice. They signed the South African band mates who changed their name to Seether. Saron Gas was too similar to the lethal nerve agent sarin gas. A planned follow-up to their first album was delayed by almost a year when Seether was chosen as the support act for Evanescence’s worldwide tour. During this time a romance started to blossom between lead singer of Seether, Shaun Morgan and lead singer of Evanescence, Amy Lee. The tour ensured Seether’s commercial success, but delayed the band’s return to the recording studio. The band reworked their acoustic ballad “Broken” to an electric ballad with guest vocals by Amy Lee. “Broken” along with a new song entitled “Sold Me” featured on the soundtrack of 2004’s movie “The Punisher”. An alternate version of the original album entitled Disclaimer II was released on the 15th of June 2004, with some songs remixed and reworked, with an extra eight new tracks (in the US). The major reason for the reworking of Disclaimer was the popularity that the song “Broken” achieved after its release. Seether viewed the album as an opportunity to re-evaluate their debut’s release (whose mix was, according to the band, sub par) and provided fans with material to serve as a holdover until the band’s proper follow-up album. The band’s follow-up album “Karma and Effect” was released on the 24th of May 2005. It is certified gold in the US and Canada. Originally titled Catering to Cowards, the name was changed at the record label’s demand. The album debuted at number 8 on the US Billboard 200 album charts. It spawned three singles; “Remedy”, “Truth” and “The Gift”. “Remedy” reached number 1 on the US Mainstream Rock Charts, Seether’s first number 1 hit. Seether released an acoustic CD/DVD set, “One Cold Night” on the 11th of July 2006. Shaun Morgan had suffered from a stomach ailment and decided to do an acoustic set instead of cancelling the show. The concert was recorded in Grape Street, Philadelphia. The record label wanted to exclude any obscenities from the album and that explains why “Needles” and “Burrito” do not feature on the album. Lead guitarist Patrick Callahan‘s departure was announced on the 16th of June 2006, an explanation was not provided. Patrick apparently didn’t enjoy Seether’s new music. 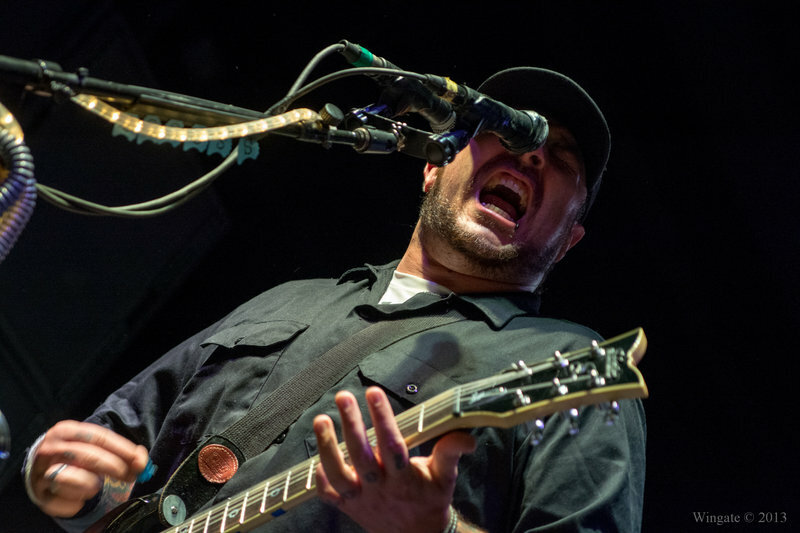 In August of 2006, Shaun Morgan entered a rehab program for alcoholism, which forced the band to cancel their tour with Staind and Three Days Grace. The day that Evanescence released their single “Call Me When You’re Sober” on radio, it was announced that Shaun Morgan was entering rehab. Amy Lee confirmed that the song was inspired by her ex-boyfriend and that the song had become somewhat of a chick anthem. The track leaked to radio on the 30th of July 2006, causing several radio stations to play it early without it being released as a single. Shaun didn’t want to “lower” himself to Lee’s level, therefore he didn’t really want to react to the song, but stated that he was upset that she had said “those” things. Upon the release of Seether’s 2007 album release “Finding Beauty in Negative Spaces”, Shaun knew everyone would be looking for an Amy Lee reference on the album. He was desperate not to have one, but did mention that the song “Breakdown” , he considered a lament and not an angry backlash. He further states that the song isn’t about one person, its more universal, vague and respectful. “Finding Beauty in Negative Spaces” was originally planned for an August release that was delayed until the 23rd of October 2007 due to the suicide of Shaun’s brother Eugene Welgemoed. The album debuted at number 9 in the Billboard 200 album charts and sold 57,000 copies in its first week. The first single off the album “Fake It” reached number 1 of US Mainstream Rock Charts and Modern Rock Charts, the song held that spot for at least 9 weeks on both charts. “Rise Above This” was written in memory of Shaun’s brother, Eugene. The last single from the album “Breakdown” won Seether their first South African Music Award in the “Best Rock: English” category. The song won them their first MTV Africa Music Award for “Best Alternative Artist”. A tour in support of the album lasted for most of the year 2008. Troy McLawhorn previously a member of bands such as Dark New Day, Evanescence, Sevendust and doubleDrive was hired as a touring guitarist on the 15th of February 2008. During the tour Seether shared the stage with bands such as Three Days Grace, 3 Doors Down, Skillet, Breaking Benjamin and Red to name a few. After the tour Troy was named as an official member of the band. A cover of Wham!’s “Careless Whisper” was made available for purchase as a digital or mobile download. The music video for the song was released on the 15th of June 2009 and the song is included as an extra track on the reissue of the album “Finding Beauty in Negative Spaces”. Seether supported Nickelback during March and April of 2009 and it was confirmed by Dale and Shaun that after the Nickelback tour the band would take the rest of the year off from touring to concentrate on recording new content for their upcoming album. Nevertheless the band made their appearances at select shows and festivals. The band spent several months recording in Nashville, Tennessee with producer Brendan ‘O Brien. Recording was completed in August and the album went into the mixing process. The album was completed in September and “Holding Onto Strings Better Left To Fray” was released on the 17th of May 2011. Seether reached their highest place on the US Billboard 200 Chart when the album reached the number 2 slot. Billboard named Seether the No. 1 Active and No. 1 Heritage Rock Artist of 2011. 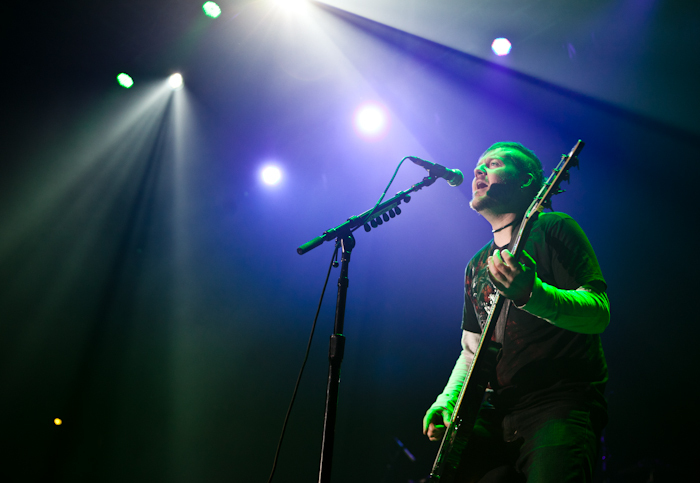 Troy McLawhorn left Seether and returned to Evanescence in March 2012. Seether played the main stage on the Uproar Festival alongside bands, Avenged Sevenfold, Three Days Grace, Bullet for my Valentine and Escape the Fate. 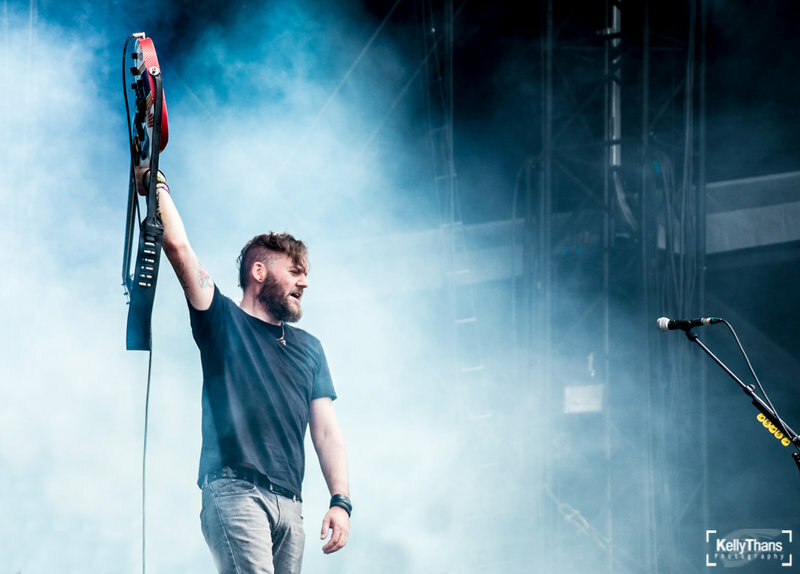 Seether supported 3 Doors Down on their European tour which started in November and lasted till March the following year. On the 31st of January 2014, Seether posted a video on their YouTube account in which Shaun Morgan stated that the new album is well underway and recording should be completed within a week’s time from the date the video was recorded. In April 2014 the band posted teasers of the album on apps Snapchat and Instagram. Teasers of two of the songs off the new album was posted on YouTube namely; “Words As Weapons” and “My Disaster”. Later on more song clips were teased on the band’s official Instagram account. In late April 2014, it was announced that the new album titled “Isolate and Medicate” was set to be released on the 1st of July 2014. “Words As Weapons” was the first single to be released on the 1st of May 2014. On the 29th of April 2014, the band’s long-time guitar tech, Bryan Wickmann and former Art Director of Schecter Guitar Research was announced as Seether’s new touring guitarist. Seether has been present in my life, since I can remember. I remember hearing “Fine Again”, mesmerized by the melancholy nature of the song. I really identified with that song at that stage of my life. After having the privilege to see the band perform in November 2013, I was blown away by Shaun Morgan’s vocals. Its like you can hear his whole life story just by listening to his voice. It doesn’t matter how dark the song is, the band delivers the material with a flair which is unmatched. Seether does not like to conform to anyone’s rules, they play by their own. This is a trait which is admirable considering the power that record labels have at their disposal. Seether has proved what determination, ambition, drive and talent can amount to if you make it count. While promoting their latest album release “Isolate and Medicate” the band stopped by Loudwire’s studios to perform a few songs. Watch them perform the acoustic version of 2004’s hit “Broken”. On the 24th of September 2012 , Josh Paul announced on Twitter that he will be leaving Daughtry after six years. Slash featuring Myles Kennedy and the Conspirators release Bad Rain music video! On the 26th of September 2012 Slash announced the release of his new music video Bad Rain, which is one of my favourite songs off of Apocalyptic Love. I more or less had the same visualisation of the song in my head when I first heard it, maybe less the skeleton part :). On the 27th of September Shannon Leto from Thirty Seconds To Mars made it very clear that he will no longer be working with Antoine Becks. Godsmack has always stated how much of an influence Pantera has had on their career so a tribute to Pantera in their hometown was imminent. Fans were treated to a performance of Pantera’s This Love from Godsmack joined by Mike Mushok and Aaron Lewis of Staind. This Love comes from Pantera’s 1992 release ‘Vulgar Display of Power’. Members of Fozzy and P.O.D among others later joined the bands on stage and even Rita Haney, the longtime girlfriend of late Pantera guitarist Dimebag Darrell Abbott joined in at the other side of the stage.